Microsoft has announced that the official UK release date is the 21 October. This will come to no surprise, considering this is a date the UK media has been bandying around for some time. So, on this date expect the HTC Mozart, Samsung Omnia 7, HTC HD7, LG Optimus 7 and the HTC Trophy coming out courtesy of their respected carriers. The UK will be able to get its hands on the first wave of Windows Phone 7 handsets on the 21 October. This is according to Neowin, who believes it has bagged the exclusive on this titbit of news. The date is the same for the most of Europe with the UK, Germany, France, Italy and Spain ready to unleash their handsets next month. The US will get its hands on Windows Phone 7 in November, although this date may also move back to October. Leaks of Windows Phone 7 handsets are increasing and it was announced last week that all of the main UK mobile operators will be stocking the devices. 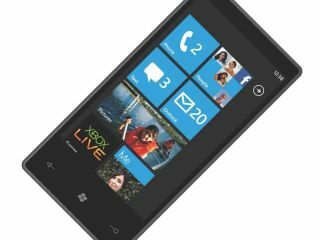 It is Orange who will be the first telco to release a Windows Phone 7 handset in the UK – as it was the first to announce it will be adding the OS to its handset line up. Prior to the 21 October Windows Phone 7 UK release date, there will also be a formal kick-off of Windows Phone 7, with a Microsoft press conference pencilled in for 11 October.